Is there a new addition to the family? Needlepoint a personalized birth announcement that will be cherished for a lifetime. 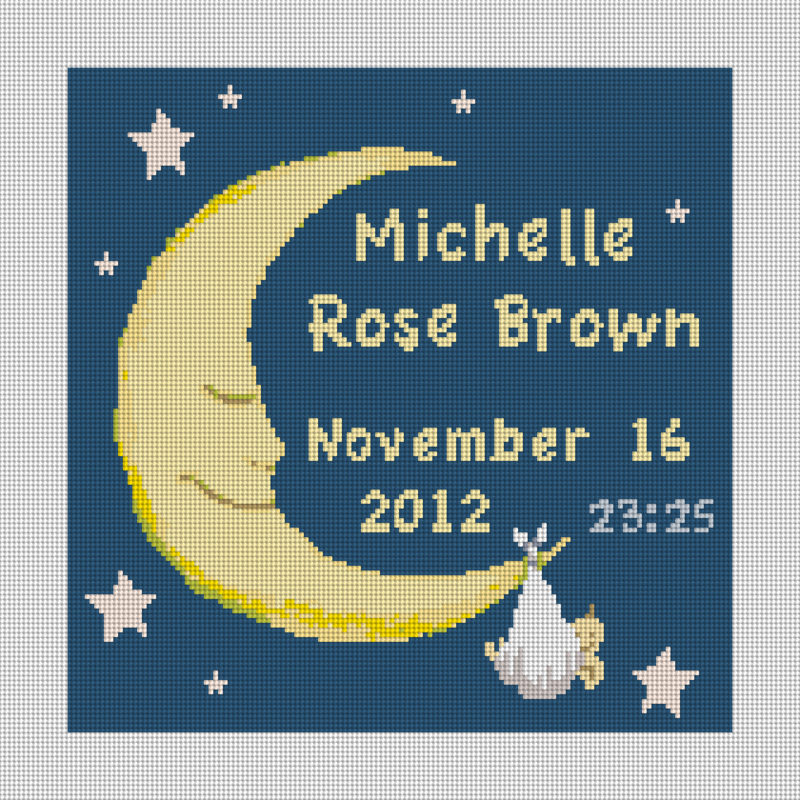 The Baby and Moon Baby Needlepoint Canvas design is a new addition to our shop! Inspired by some children’s books, this new design is sure to fit in well with most nurseries. Every personalized needlepoint design is made to order and a digital preview will be emailed for your review and approval before your canvas is made! Please include the name, birth date, and time. Weight, town, and length can also be included. Colors, font types, and details can all be changed at no extra charge. 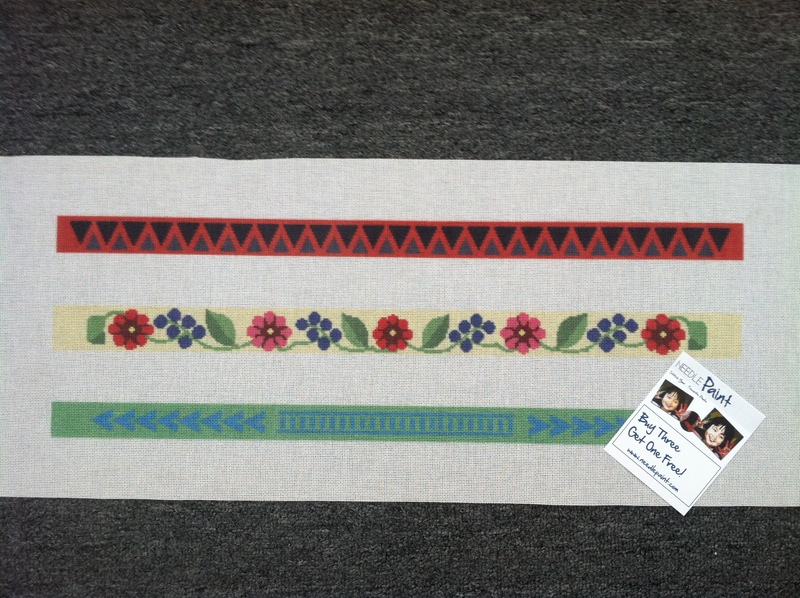 We’ve really had a great time designing needlepoint belts this year. One request we keep sending out is to show people how to measure a needlepoint belt. I figured that we may as well write a blog post about this, so more people who are searching can learn how to measure a belt. Actually, this was a mystery for me for a long time, as some companies belt sizes seem to vary from others, and I never understood why. Basically, the key to figuring out a belt size, is to measure from the end of the belt (not the belt buckle – see left side marked A) to the center hole (see right side marked B). Click on the image below to see it more clearly. This explains why some companies with longer metal buckles would have differences from belt size to belt size. 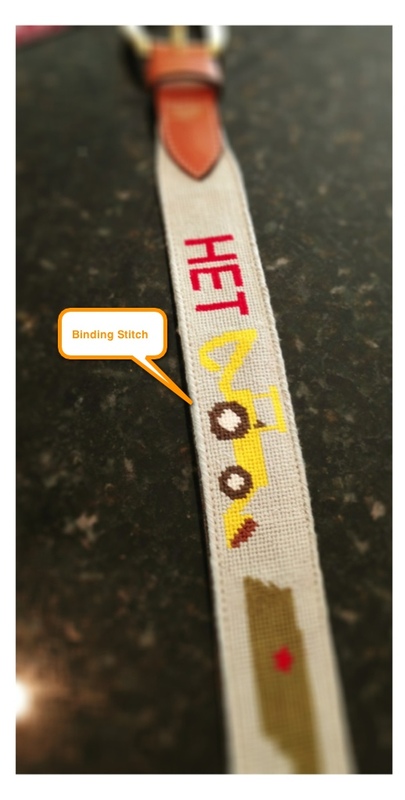 If you are stitching a custom needlepoint belt canvas and having it finished with leather belt ends, you’ll also want to know how much to stitch. With our leather belt ends, you can calculate this by subtracting 8 inches from the belt size. This is what we refer to as the visible area. Then from here, we add two extra inches of background color to each side (the belt buckle will cover up this area). Also, I’ve been going back and forth with finishers on a rolled edge vs using a binding stitch. We have found a finisher who does not charge extra for doing a rolled edge, so it is a matter of preference. If you prefer the rolled edge, then you will need to stitch two extra rows above and below the design, so the finisher can wrap the canvas under. 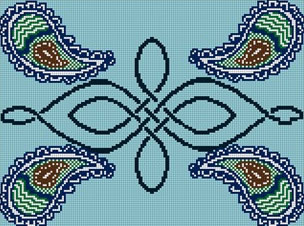 If you are looking for needlepoint belt ideas, check out our needlepoint belt canvas section, or have a look through our needlepoint belt blog posts. 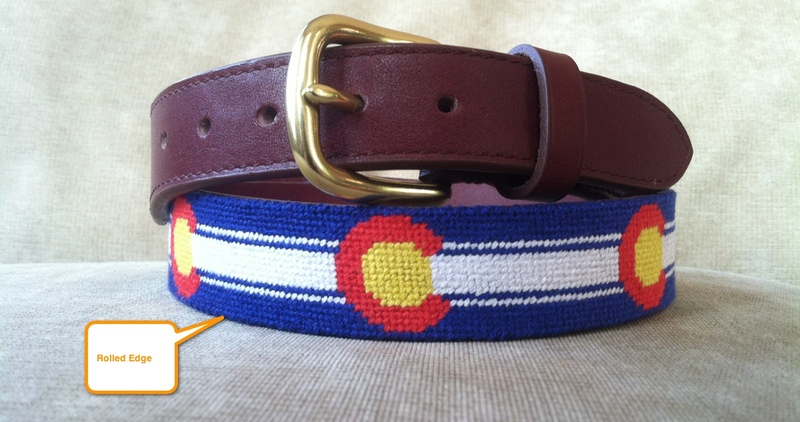 If you have something else in mind, we’d be happy to design a custom belt canvas for you! Tired of your old straw hat? When I went looking for a new straw visor there were none to be found. Inspired by a book I was reading on Hawaiian tattoos, I designed a hat band of a traditional shark tooth design. It is a perfect design for Trianglepiont, which is quick and easy to to. I mocked up a custom needlepoint design and was stitching 2 days later! 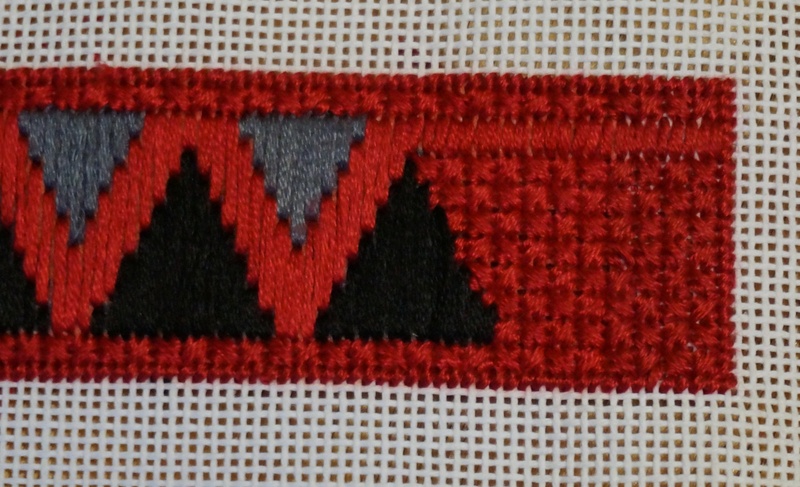 Each shark tooth is a trianglepoint and satin stitch is used between the triangles. I finished the ends of the canvas with the reversed mosaic stitch as shown here. There is a single row of the Continental stitch along each end to serve as the border for the finished overcast edge, which is described in my Needlepoint Napkin Rings blog. 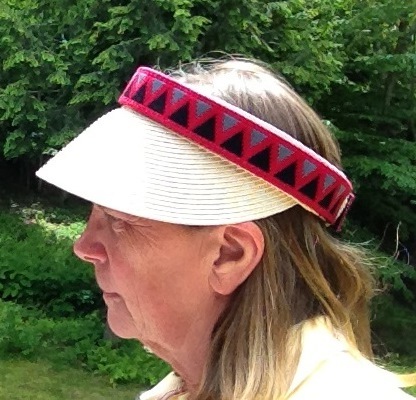 For the backing, I used wide bias tape which had to be trimmed down to the 1.25 inch width of this hat band. I tacked the band to my old visor so it can be removed easily and exchange for my next project — an Hawaiian flower band which is on the stretcher waiting to be stitched. The visor is dressed up! Stitchers are always looking for fun new projects, and boy do we have great ideas! 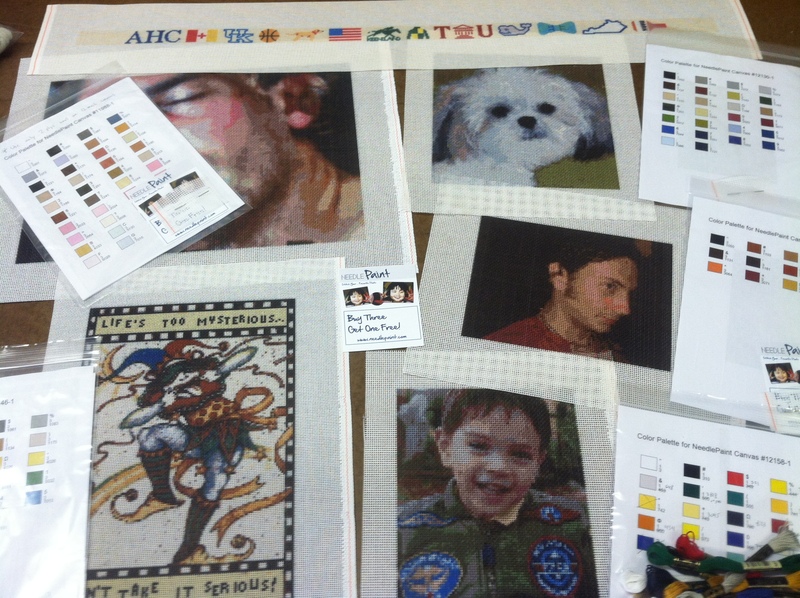 This week, I want to show off some of the photo needlepoint portraits that we’ve made recently. You can see three of the canvases on our workshop table. Photo Needlepoint Portraits and Other Fun Projects! There is one important thing if you are creating a photo needlepoint project that these three have in common. This is that each of these is a close up of a single face or upper body. This allows you to really catch the detail of the subject and not worry about the background. In some cases, you can get two people to come out as well as these, but most often a single subject is the best. 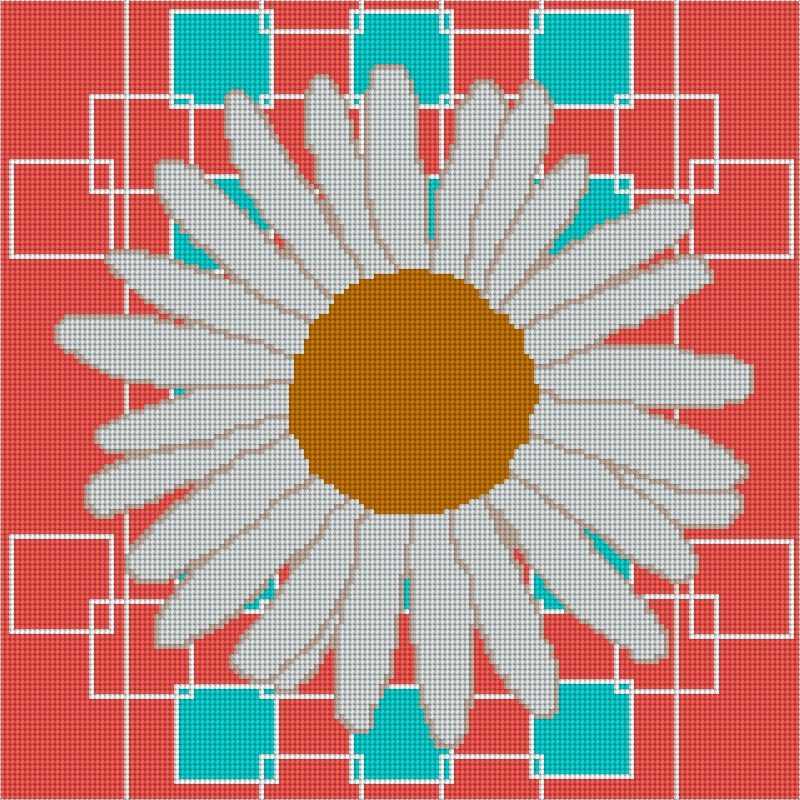 If you want help taking your photo to needlepoint, you can try our website NeedlePaint.com and see the preview of your custom needlepoint canvas for free! If you don’t like how the colors are coming out, or want help cropping or editing your photo, or even want help starting from scratch, you can contact us directly, and we’d be happy to assist. Also note, we match every kit that is a portrait (both human and animal) to the photo. 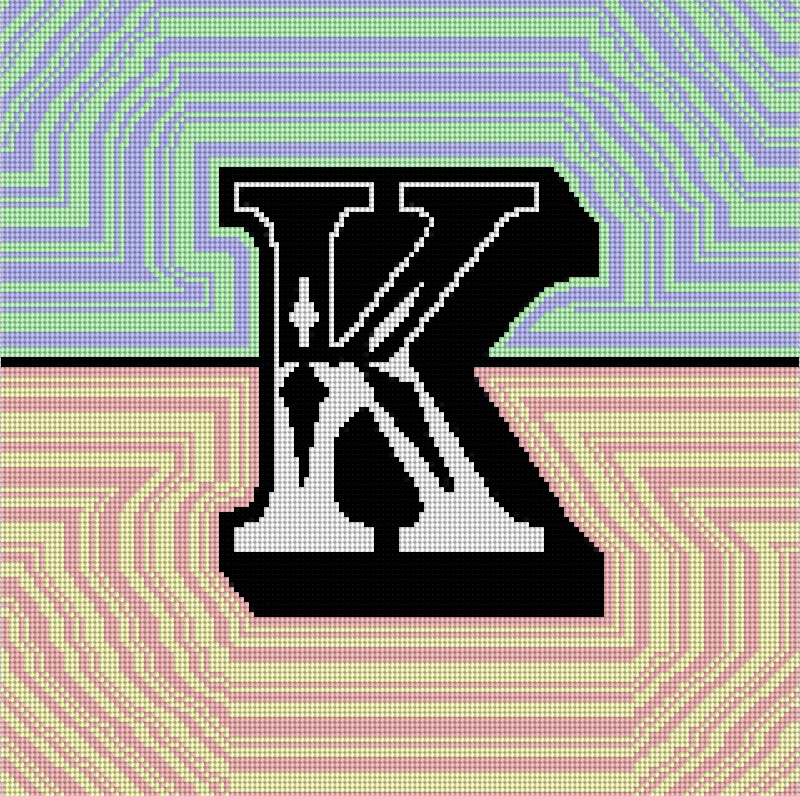 So, if the colors seem a little off, don’t worry, we’ll adjust them. Computers are great tools, but still no substitute for the human eye! We had a request to modify our whiskey and gunpowder needlepoint belt for a bird hunter, and it came out so well, I had to put it in the shop! The Bird Hunting Needlepoint Belt includes: diamond shape monogram, a shotgun (this one is a baretta), a pheasant, quail, dove, a black and white english setter, and a shotgun shell. 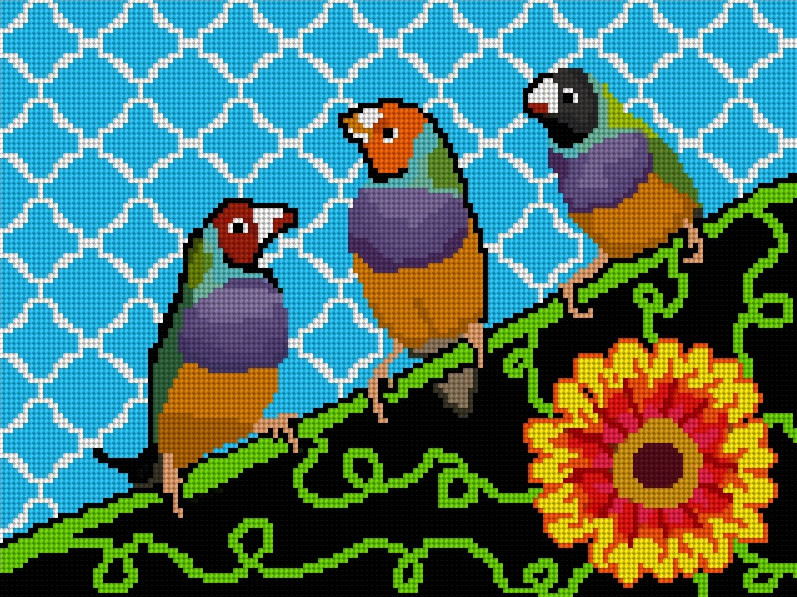 Not all people hunt the same birds, so if you want a custom needlepoint design, you can enter the changes in the notes field of your order. We will email you a preview of your belt before we make it. What kind of needlepoint belt do you want to stitch?